Your day-by-day itinerary now includes Auckland City Tours. Kick off your visit on the 23rd (Tue): take in the local landmarks with Auckland City Tours, then see the interesting displays at Auckland Museum, and then step off the mainland to explore Hauraki Gulf. For photos, more things to do, ratings, and other tourist information, use the Auckland Central trip tool . If you are flying in from Germany, the closest major airports are Auckland International Airport and Hamilton International Airport. 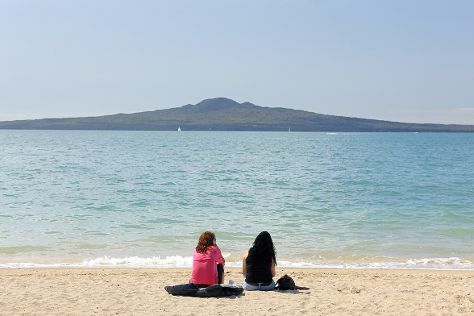 In October, daily temperatures in Auckland Central can reach 17°C, while at night they dip to 16°C. Finish up your sightseeing early on the 23rd (Tue) so you can travel back home.